There are so many companies listed under carpet cleaning services in the telephone directory, where do I start? In addition to the Chem-Dry hot-carbonating cleaning system, there are three main cleaning methods: hot water extraction (steam), foam cleaning and absorbent compound cleaning, often referred to as a dry powder clean. Each cleaning method uses a different combination of equipment and products. Any carpet and upholstery cleaning professional should first assess the job to be done and carry out a pre-test, so that they can provide you with an accurate price, estimate the length of time for the clean and make you aware of any key information to help you decide whether you should go ahead with the clean. All professionals should offer a 100% satisfaction guarantee for the work they do. 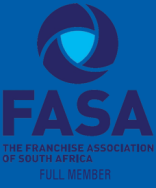 Is the company ISO 9001 accredited? Independent research recommends that carpets be cleaned every six months. We recommend you clean and refresh your soft furnishings every 12 to 18 months. However, this very much depends on your circumstances, for instance whether your home is prone to heavy soiling because of children or pets or whether anyone is your family suffers from allergies. You extend the life of your carpets and upholstery with regular cleaning and the more frequently you clean, the longer lasting the results each time. What’s the difference between Chem-Dry and other carpet cleaning methods? Chem-Dry cleans carpets in an entirely different way to all other methods. Chem-Dry’s patented system uses a unique, hot-carbonating process and a naturally based cleaning solution that is safe and non-toxic. The system employs a combination of heat and carbonation to help breakdown dirt deeply embedded in carpet or upholstery fibres. Millions of tiny effervescent bubbles lift the dirt to the surface, allowing it to be easily cleaned away rather than becoming further embedded into the fabric. 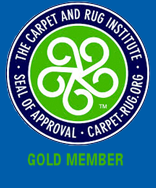 The gentle process does not harm carpet fibre or fabrics and there is no risk of shrinkage. By using a fraction of the water required with alternative cleaning methods, no excess water is left behind in which mould or bacteria can thrive. Carpets and upholstery also dry in hours not days as with some carpet cleaning methods. Since Chem-Dry uses the Natural® instead of detergents or shampoos, there are no sticky dirt-attracting residues left behind following a clean and so carpets and upholstery stay cleaner for longer. If the Chem-Dry process doesn’t use soaps or shampoos, how can it really clean my carpets? It is just like giving your carpet or upholstery a mineral bath. The process employs a combination of heat and carbonation to help breakdown dirt deeply embedded in carpet or upholstery fibres. Millions of tiny effervescent bubbles lift the dirt to the surface, allowing it to be easily cleaned away rather than becoming further embedded into the fabric. Why can’t you give me a price for cleaning my carpets over the phone? The price for a clean is not just dependant on the room size or amount of upholstery to be cleaned, but the type of carpet or upholstery fibres and the amount of soiling or staining. Specialist treatments might also be necessary or desired, so these would also need to be costed into the price. It is better for you that we assess the potential job properly and be sure of the level of work involved, so that we can give you an accurate price. How long will the clean take? This depends on the size of the room or the amount of upholstery. It will also depend on the level of soiling and whether there is any heavy staining. We will be able to provide you with an approximate time once we have assessed the job to be done and we provide our free, no-obligation quotation. Do I need to be at home whilst the clean is being carried out? No, we should be able to indicate the length of time the clean will take when we provide you with a quotation, so you can always leave our technician to get on with the job for this period of time. Alternatively, you can provide us with a key, if it makes things easier for you. Do I need to do anything before the Chem-Dry technician comes to do the clean? We might recommend you remove some smaller items of furniture or any valuable items from the rooms. We will discuss this with you when we visit your property to provide you with a quotation. How soon will I be able to walk on my carpets after they’ve been cleaned? Technically you should be able to walk on carpets immediately, as there is no dirt-attracting residue left behind following a Chem-Dry clean. However, to avoid potential accidents as a result of slipping on a damp surface, we recommend that carpets be left to dry for a couple of hours. Most carpets dry in 1-2 hours, although this drying time is impacted by the type of carpet fibre, the soiled state of the carpet prior to cleaning (amount of solution applied) and of course, the weather conditions. What’s the difference between a stain and a spot? Professional technicians will usually refer to a surface mark or substance on the carpet or upholstery as a Spot and a discolouration of carpet or upholstery fibres as a Stain. If I choose not to protect my carpets or soft furnishings, will they get dirtier more quickly? Chem-Dry Protectant™ will lengthen the time in-between cleans, but to start with, Chem-Dry cleaned carpets will stay cleaner for longer than carpets cleaned by other methods. If the Chem-Dry process is so good, why don’t other cleaning companies use it? The Chem-Dry system is patented and so is exclusive to Chem-Dry. Other carpet and upholstery cleaning companies cannot therefore use it. Chem-Dry is a worldwide company so how can I be sure of personal service? 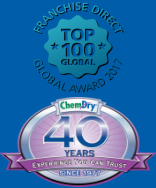 Each Chem-Dry business is independently owned and operated even though we use the Chem-Dry process and products (exclusive to Chem-Dry) and are trained to the highest of industry standards both technically and service wise. 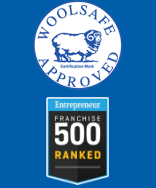 We are responsible for making our business a success and therefore aim to keep our customers happy so they keep coming back to us – and hopefully recommend us to friends and family! What if I am not satisfied with the job you do? Tell us. If we don’t know you are not satisfied, then we can’t try to put things right. We don’t get everything right all the time, but we are always keen to better our performance.